It was 1982. Freshly graduated from the theatre program at San Jose State University, I had just landed my first theatre job. Feeling both excited and terrified, I also felt entirely out of my league. That’s when I met Sylvia. If you follow the money, you won’t find it in the theater. San Jose Rep’s small costume shop occupied a couple of classrooms in a vacant elementary school, in an unremarkable part of town. Yet between those walls, magic happened. Under Resident Costume Designer Marcia Frederick’s guidance, Sylvia Muzzio, Marcia and I crafted some of the most extraordinary costumes you’ve ever seen. 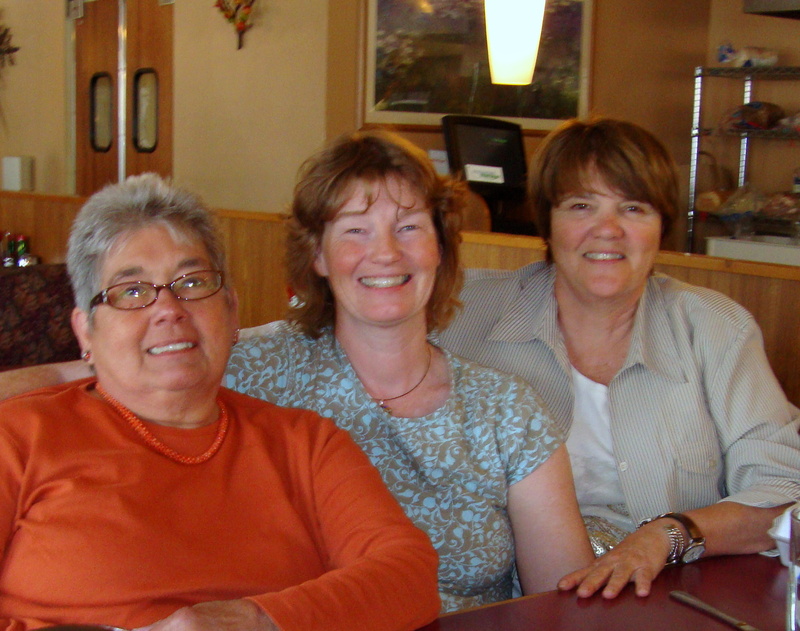 We were three creative women working in very close quarters, yet we always got along. 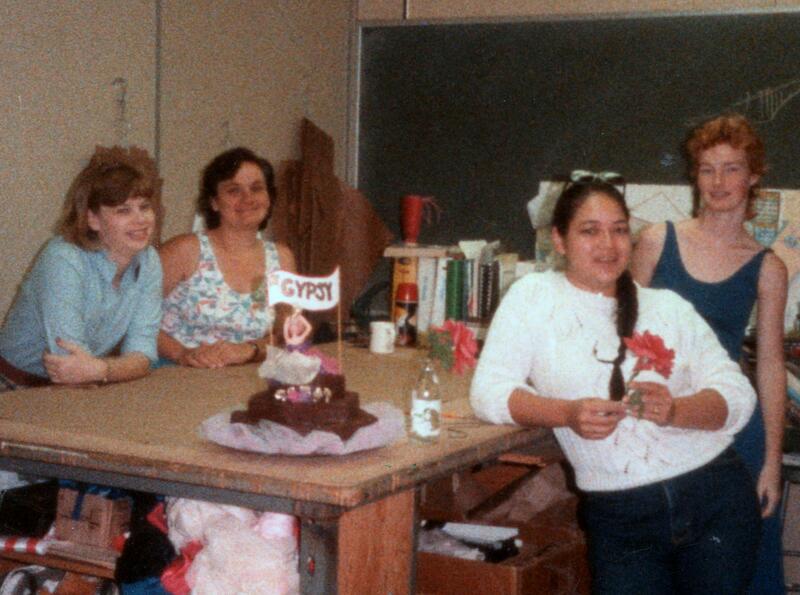 Sylvia mentored and mothered and minded the shop and taught me about theater and life along the way. She personified warmth and care. I shared things with her that I didn’t feel comfortable sharing with others. 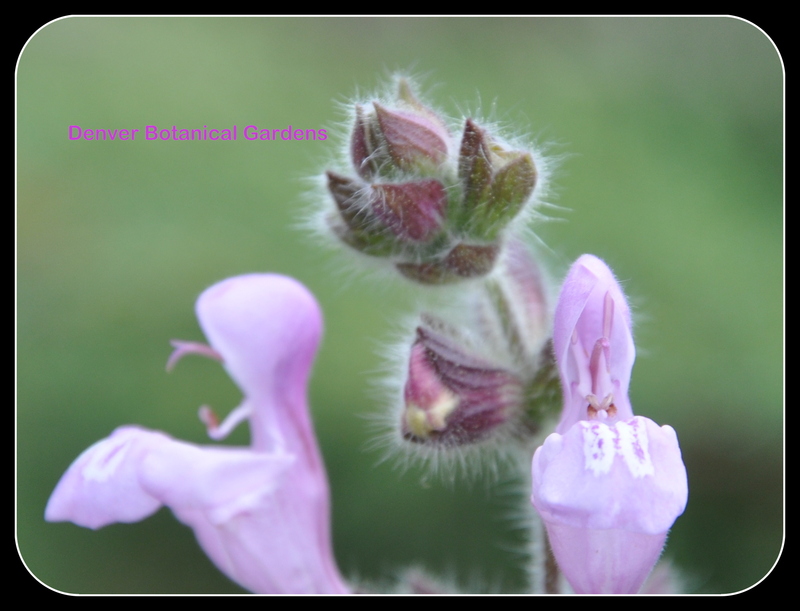 Her open nature and gentle soul invited you in. It was a gift at the time, though it took age and maturity to fully grasp how special she was. 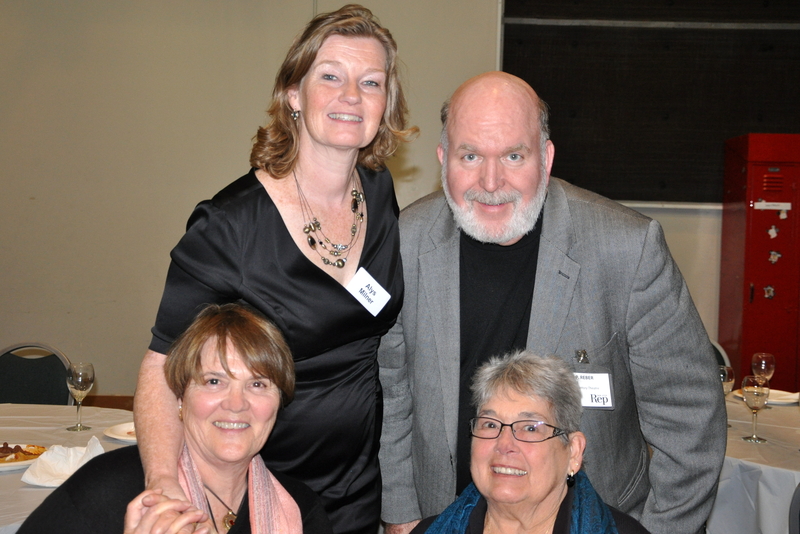 Sylvia nurtured her children, her grandchildren and those of us lucky enough to be part of her circle. She always wanted the best for people. She was modest and unassuming, but honest and direct as well. I loved her. 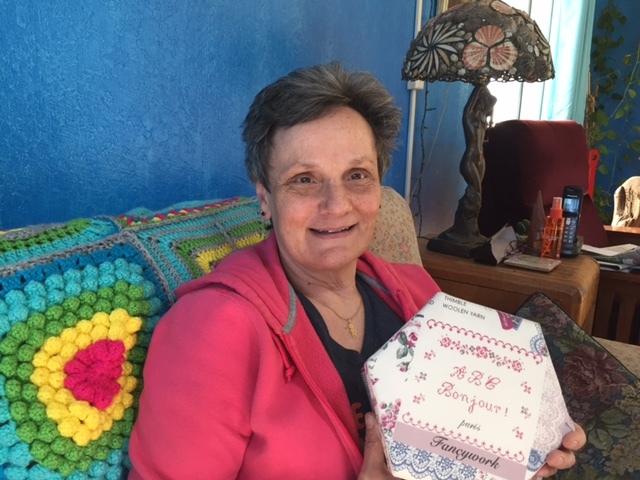 Sylvia had a year of major health problems, hospitalizations and treatments, then seemed to miraculously kick every last one of her ailments to the curb. I saw her earlier this year for lunch, and though frail, she was upbeat and engaged. I started one of those “let’s get together when you get back from Shasta” emails and hoped to see her again this fall. Marcia called me on Monday to let me know that Sylvia was gravely ill. Sylvia and Marcia have remained close friends for many years. It came on suddenly in the last two weeks. I spoke with Sylvia for the last time Wednesday morning. She was groggy from her pain medication, but she knew who I was and said it was good to hear my voice. She died this morning in her sleep. Romeo and Juliet (1597) IV, scene 5, line 28. 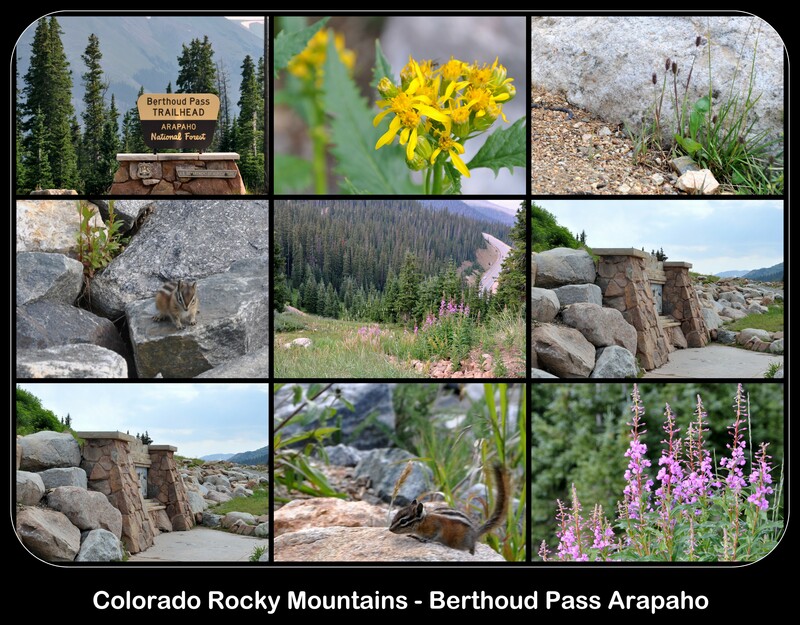 We’ve just returned from a beautiful, restful and enjoyable trip to the state of Colorado. 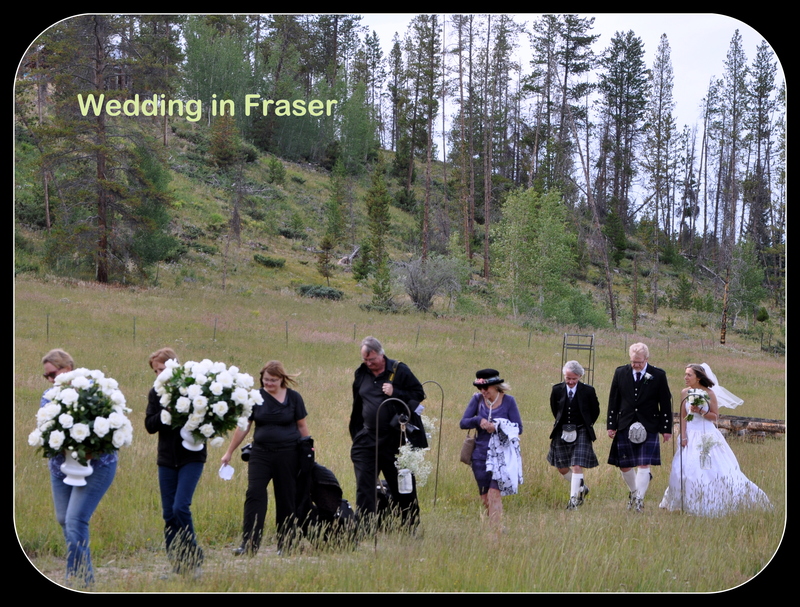 Our friend Claire remarried in a lovely outdoor ceremony 70 miles north of Denver in a place called Fraser (population 1,200) near Winter Park. 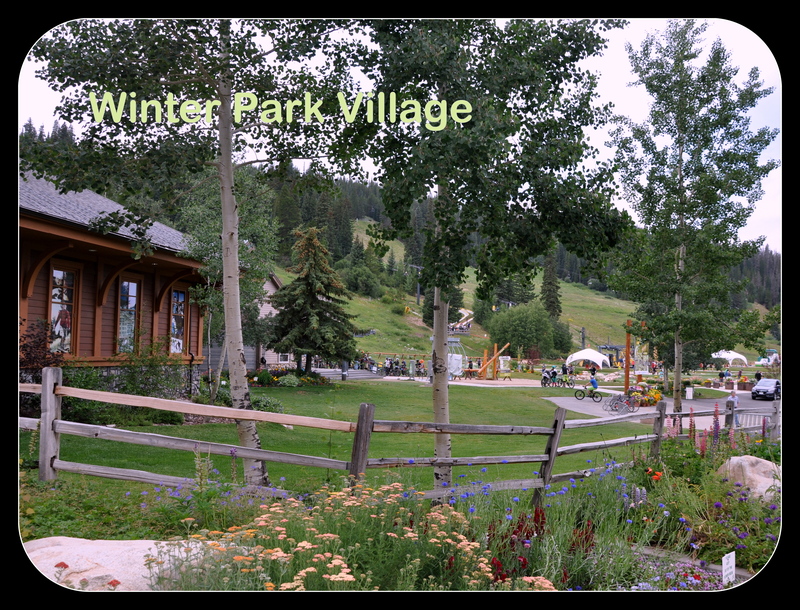 Winter Park is a major destination for skiers during the winter months, but at this time of year the area is sparsely populated and peaceful. The population nearly triples during the winter. I’m not a skier, but I can appreciate the adventure and beauty that Winter Park has to offer. We spent the morning of the wedding in the village at Winter Park, riding the gondola and enjoying the vistas before driving to nearby Fraser. What a unique wedding! The ceremony took place outside with cool weather and a few thunderclaps but no rain. 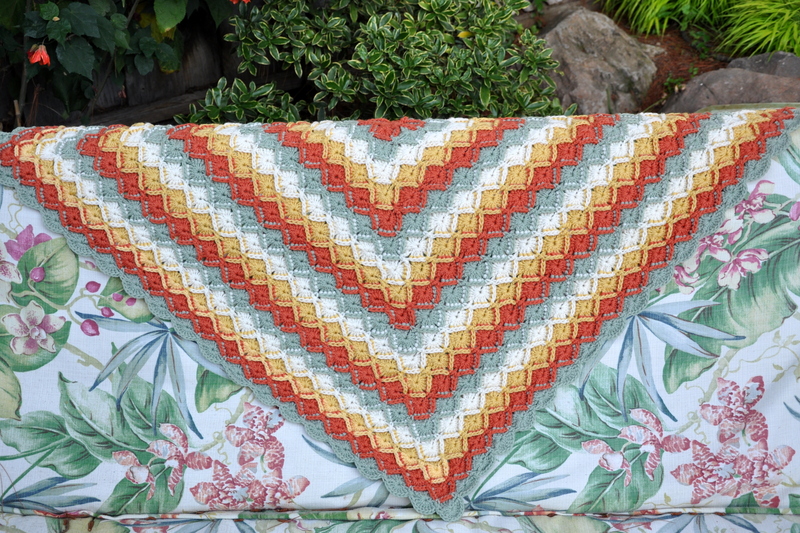 We sat on long wooden benches, covered with beautiful sections of old quilts. Claire’s daughters walked her down the aisle. I’ve known them since they were young girls and have enjoyed watching them grow into bright and warm young women. The groom and several guests wore kilts in honor of Jame’s Scottish heritage. After the ceremony we enjoyed drinks and hors d’oeuvres in a wonderful old barn, outfitted with more quilts and artifacts from the old west. The reception followed in a nearby canopied field. It was a treat getting out of San Jose’s hot, dry summer for several days. We enjoyed cooler temperatures, a few unexpected thunder claps, a light rain and warm sun. Perfection. The day after the wedding we headed to Boulder, Colorado, a two hour’s drive away. Mike booked the most amazing room at a vintage hotel built in 1909. What a nice surprise! 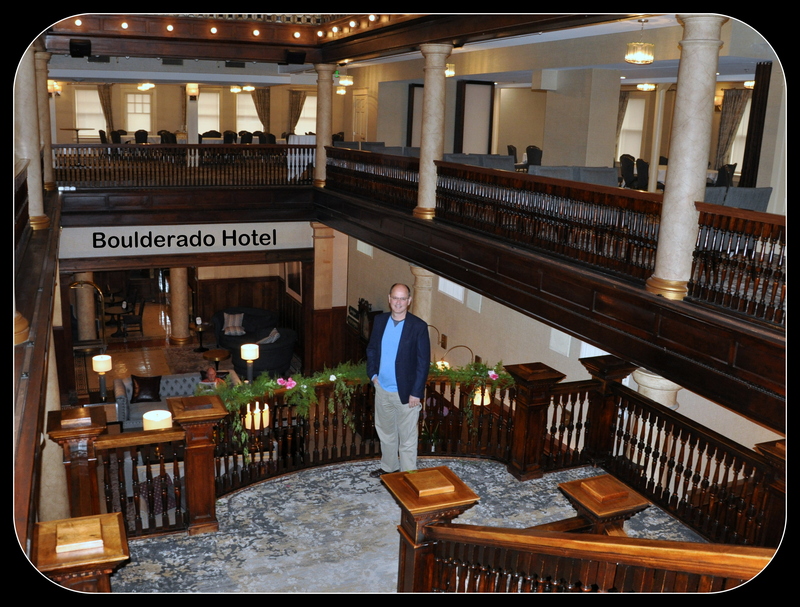 The hotel is full of old-world charm, with carved wooden banisters, original tile floors and a few artifacts from the day. Even better, it’s in the heart of downtown Boulder, walking distance to fun shops and unique restaurants. One of the highlights of our time in Boulder was the chance to see my friend Carmen. I haven’t seen her in 40 years! I posted about our trip on Facebook and she mentioned that she lived close by. She drove from Colorado Springs to meet us for brunch, followed by lots of catching up. We had a wonderful time. On our last day in Colorado, we drove to Denver and spent hours at the Denver Botanical Gardens. I’ve been to many botanical gardens over the years, and this is by far my favorite. If I lived locally, I would visit again and again. I took over 225 photos while we were there, and I barely scratched the surface. We enjoyed cooler weather for most of the day and a bit of rain which I loved. We lunched outside under a tree while it rained, enjoying a hearty, vegetarian soup. While it’s always great to travel, it’s good to be home. The boys took care of the house and the kitties while we were away, a first for the two of them together. It made traveling a breeze. My youngest son starts his senior year next week, so we’re happy to have had this time before the onslaught of college applications and the like. In what feels like a lifetime ago, I spent three consecutive summers in Santa Rosa, about 100 miles north of San Jose. I graduated from San Jose State in 1982 with a degree in Theatre Arts. Summer Repertory Theatre known as SRT hired professional designers and directors, but the actors and technical positions went to current or recently graduated students like me. We received a stipend of $900 for the entire summer, with $300 of that going to shared-housing. In the first four weeks, before all six shows opened, we worked ten and half hour days, six days a week with an hour off for lunch, and a two-hour break for dinner. The hours were long and grueling and emotions ran high as they usually do when artists surround you. In short: I loved it! I worked with talented costume designers all three summers, learning techniques in pattern making, costume building and diplomacy. I look back on those summers with a profound fondness. I met incredible people along the way. Those years were among the most memorable of my youth. 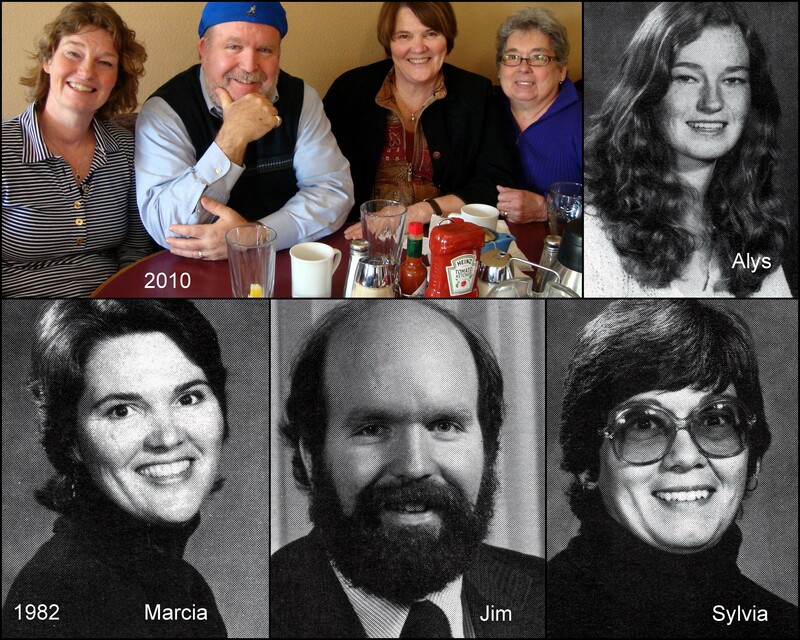 Several of us came from around the state each summer, but the rest lived in Santa Rosa. In my second year doing summer stock, I met Marcia Ford. She’s a talented pattern maker and kindred spirit. 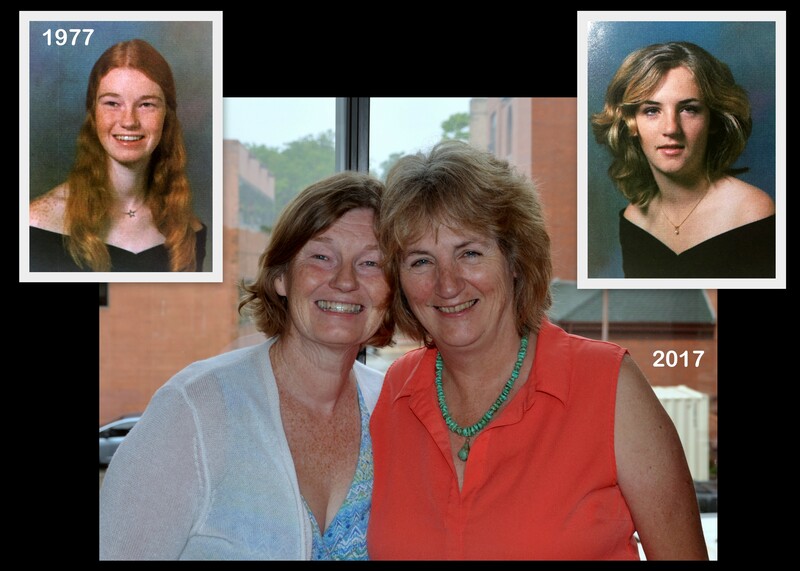 We kindled our friendship in 1983, and have stayed in touch through marriages and children. Her son is 31, an accomplished artist and linguist, living in Spain. He married a poet and scholar when they met in Egypt, and they’re now raising Marcia’s grandson in Madrid. I have a beloved snapshot of her son holding my son we he was three-months old. My boys are now 16 and 19. 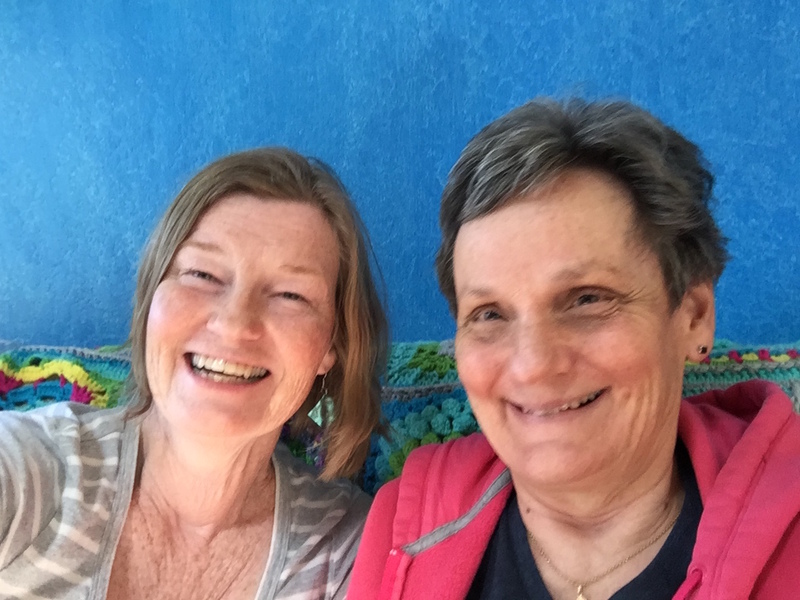 I spent a couple of days with Marcia in Santa Rosa this week, helping her organize her sewing room and catching up on life. Marcia is recovering from a year spent abroad helping with her grandson, her father’s recent death and breast cancer. She recently celebrated a milestone birthday, so I wanted to mark the occasion with a unique and special gift. 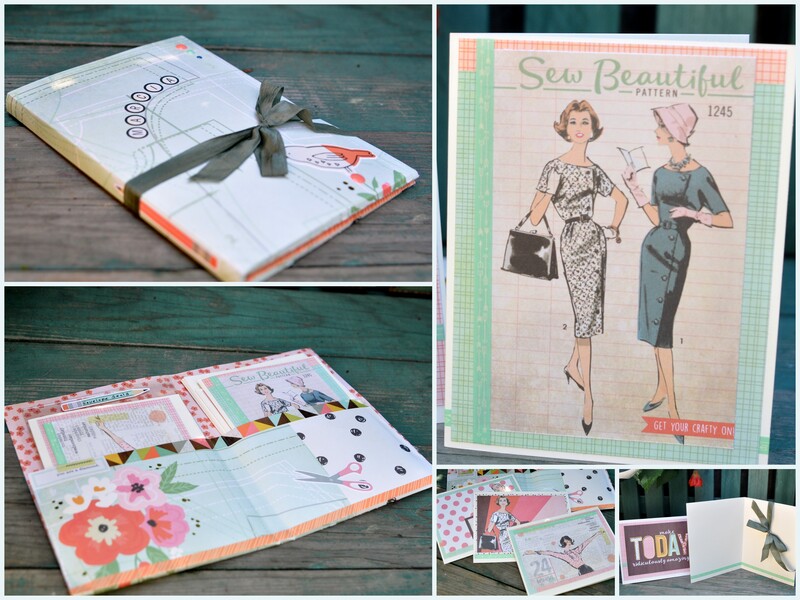 I made a set of greeting cards and a small folio using vintage seam binding and scrap-booking paper with a vintage sewing theme. Isn’t the paper fun? I also purchased the most gorgeous sewing box from Lynn at Tialys. She sells ready-made sewing boxes in her Etsy shop or you can buy her pattern and make one yourself. I opted for the former and I’m so glad I did. Isn’t it stunning? The third part of the gift had us both in stitches (seamstress pun). About a year ago I shared a picture of a yarn bowl on Facebook and she commented that she would love one. I ordered it online via Darn Good Yarn. As it turns out, she ordered the same bowl herself. I had such a good time. I miss Santa Rosa and all it represents. It’s a beautiful place. They average three times the rain that we do so things are lush and green. It’s less crowded with a slighter slower pace, and open spaces still prevail. I fell in love with it all over again. Marcia’s sister Alice invited us to dinner at her home along with several of her life-long friends. We enjoyed a delicious vegetarian meal, laughter and an evening’s walk to a field of irises. Alice has a lush garden and, be still my heart, she keeps bees! What a treat it was to spend time in her garden. What a shame, too, that I was too busy enjoying myself to take a single photo while we were there. Picture instead curving paths, verdant green plants, a majestic tree and a quiet corner with happy, humming bees. Gardens and friendships remain my “drug” of choice. 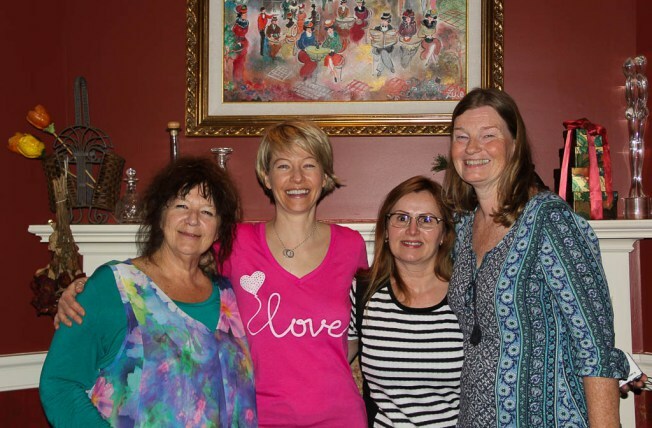 On the subject of friendships, I’m just days away from reconnecting with Kelly from Kelly’s Korner and Boombeeadda, Laurie from Life on the Bike and Other Fab Things and Julia of Defeat Despair. We’ll also reconnect with Lisa of ArlingWords and Stacy, a street photographer and sometime blogger, who can be found on Instagram. 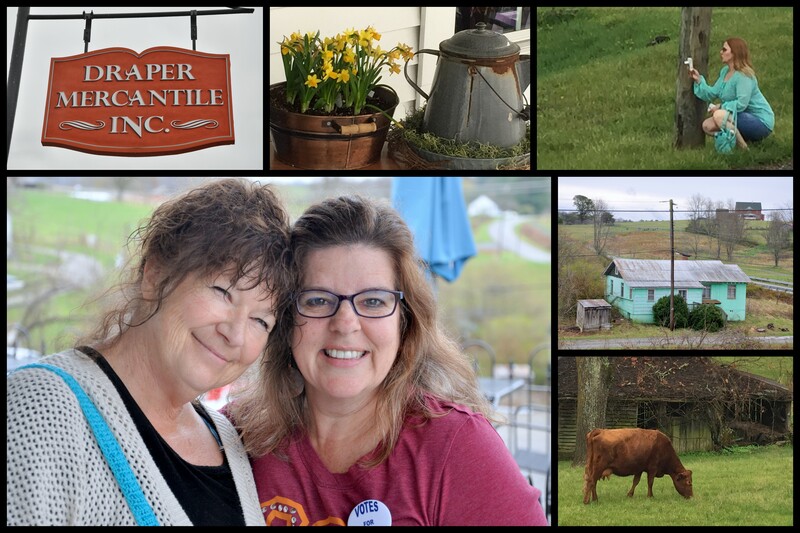 We’ll be missing Pauline of The Contented Crafter, but plans are under way to connect with her in New Zealand in 2018. We’re gathering in Virginia and Washington, DC for a few days, than Kelly and I head to New York. There we’ll meet two more bloggers for the first time, Joe at The Visual Chronicle and Patti at Nylon Daze. Do you know the expression, “A stitch in time saves nine?” It’s a sewing metaphor, admonishing that if you don’t fix it now, you’ll have even more work down the line. Instead I’m going with “A stitch in time is fine”…and lovely, and extraordinary and appreciated beyond measure. (Oh no, another sewing metaphor). 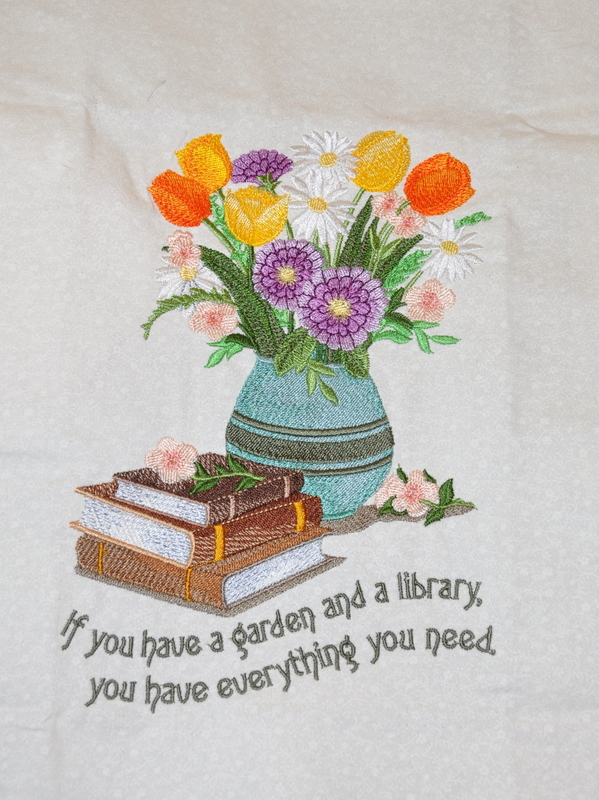 Check out the lovely stitches from my dear friends Marlene and Marcia. Marlene loves to sew and quilt. She’s also a master of machine embroidery. Look at this gorgeous piece. I would add that if you have friends like Marlene, you are lucky indeed. Marlene shares her generous talents far and wide. She quilts for a cause, makes beautiful gifts for friends and writes warm, caring and thoughtful comments throughout the blogosphere. If you haven’t had the pleasure, you can find her at In Search of it All. 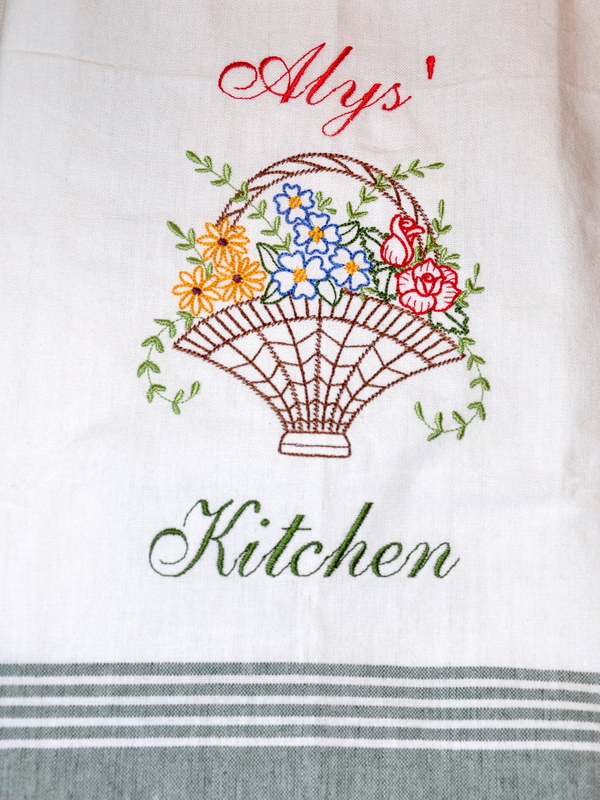 This beautiful tea towel is also a gift from Marlene. When I was a girl, personalized items were all the rage, but I could never find anything with the name Alys. I still get a little boost from seeing my name embroidered on this towel. 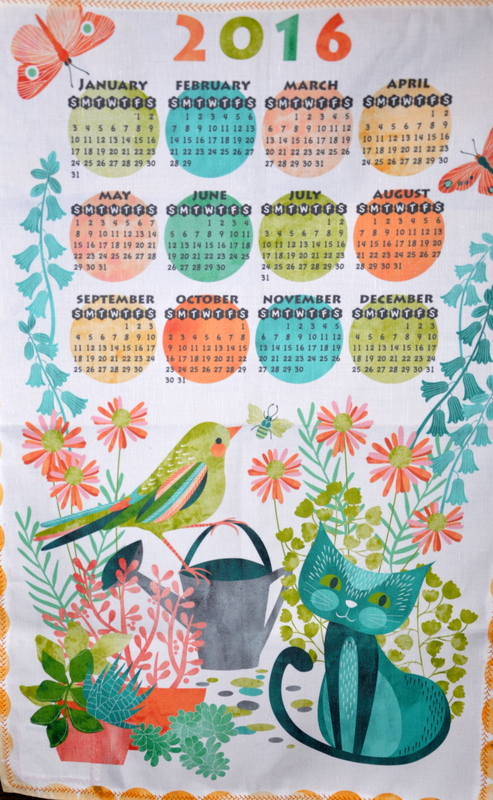 This whimsical linen calendar is a gift from my friend, Marcia. 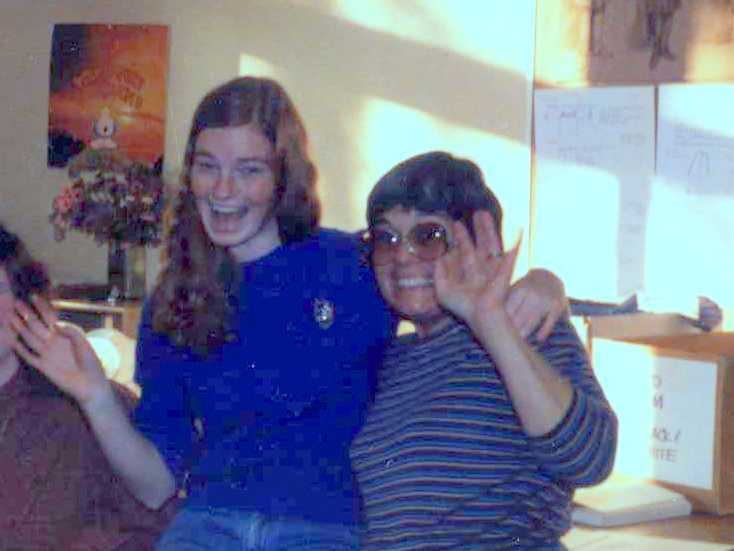 We met over thirty years ago when we worked together in a costume shop in Santa Rosa. Marcia is a skilled pattern maker and a wonderful seamstress. Like Marlene, her hands are always busy sewing and crocheting lovely gifts. Last year she sent a hand-made apron, wrapped in a fabric remnant. The linen calendar came wrapped in a pattern piece. Cool, eh? She finished the top of the calendar with seam-binding to allow for a dowel. The edges are a pretty zig-zag pattern. Again, all my favorite colors and themes: watering cans, flowers, birds and cats and the wonderful color palette. The calendar is hanging in our guest room and it looks right at home. All three of these pieces inspire me, and make me realize how much I miss sewing. I’m going to turn Marlene’s embroidery into a cushion cover now, and will do the same with Marcia’s calendar when the year is over. How about you? Have friends inspired you to creativity this year? 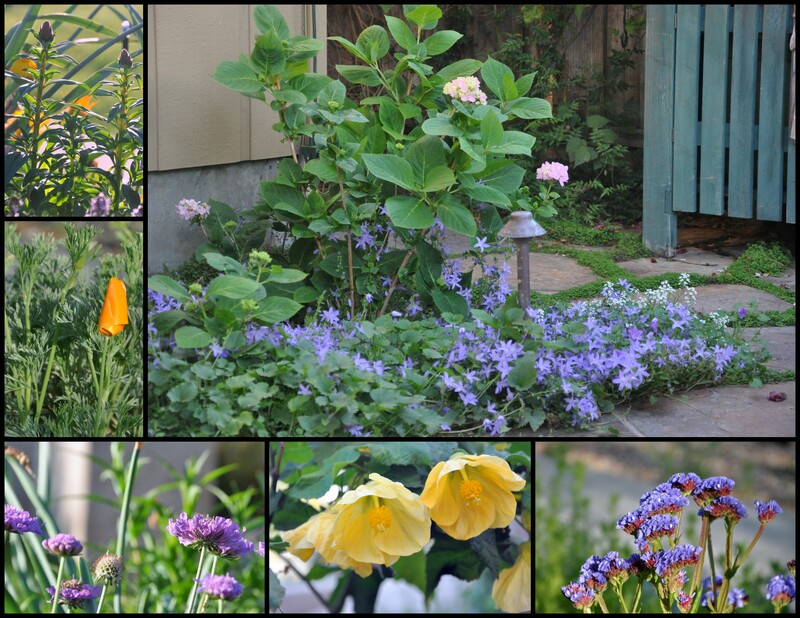 It was fun returning home from our blogging extravaganza to a garden bursting with new growth. After a week on the chillier east coast, I learned a few things. According to my calendar, spring arrived on March 20th, but the east coast remained in a deep chill. Those east-coast daffodils know a thing or two and chose to remain warm and cozy in the ground. Here in California our daffodils shot up in February along with the hyacinths and other spring bulbs. Their east-coast cousins waited till warmer temperatures prevailed. 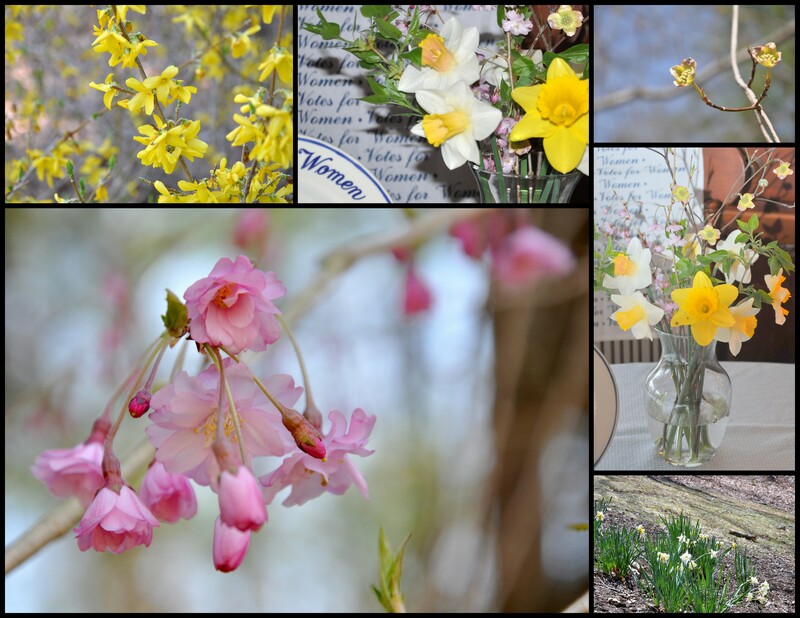 I got to experience the joy of smiling daffodils twice in the same year. What could be better than two springs in one year? Just this: spending time with an extraordinary group of women, talking, laughing and preparing food, seeing the sites and sharing our stories and marveling at our good fortune. 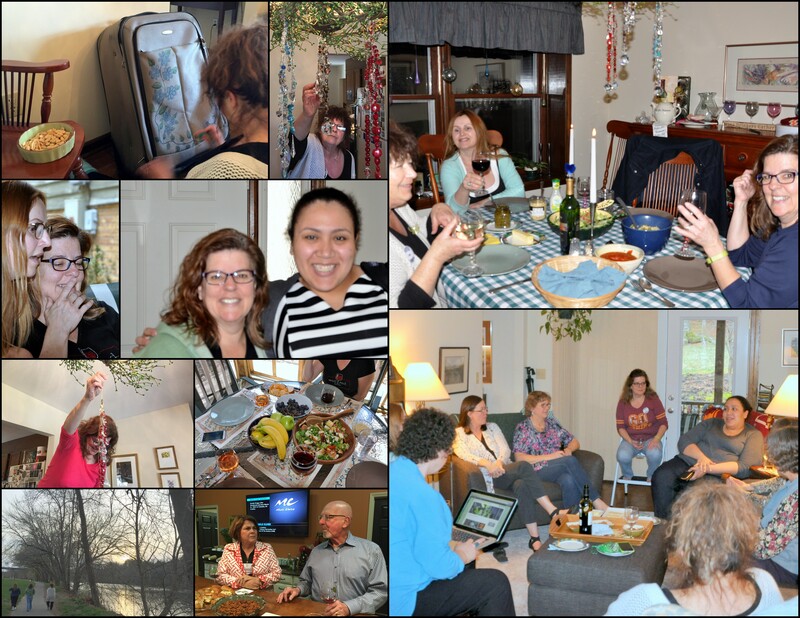 I spent over a week nestled in a cocoon of dear friends, all met through blogging. It’s difficult to convey an experience this profound, without succumbing to the treacle of sentimentality. I’ll let the pictures do the rest of the talking. 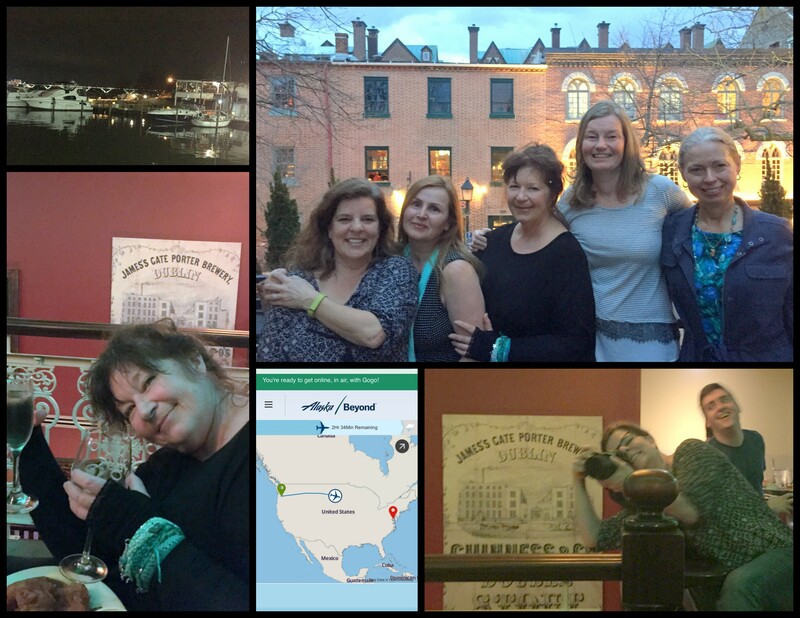 A brief stop in North Garden, Virginia, welcomed with open arms by Shelley who blogs at Peak Perspective. Note: Just for fun, I created a travelogue using the site Traveller’s Point. 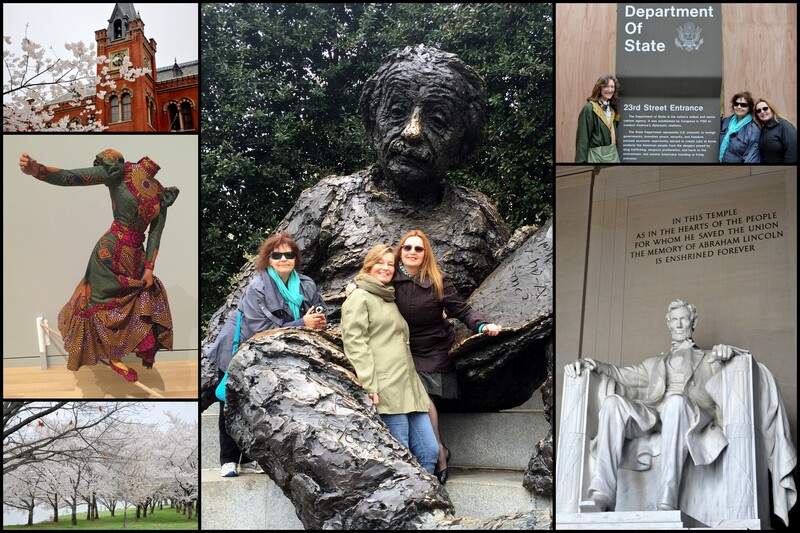 I included the destinations, who joined us and when, links to their blogs and more. WordPress does not support embedding, but you can view it at this link if interested. 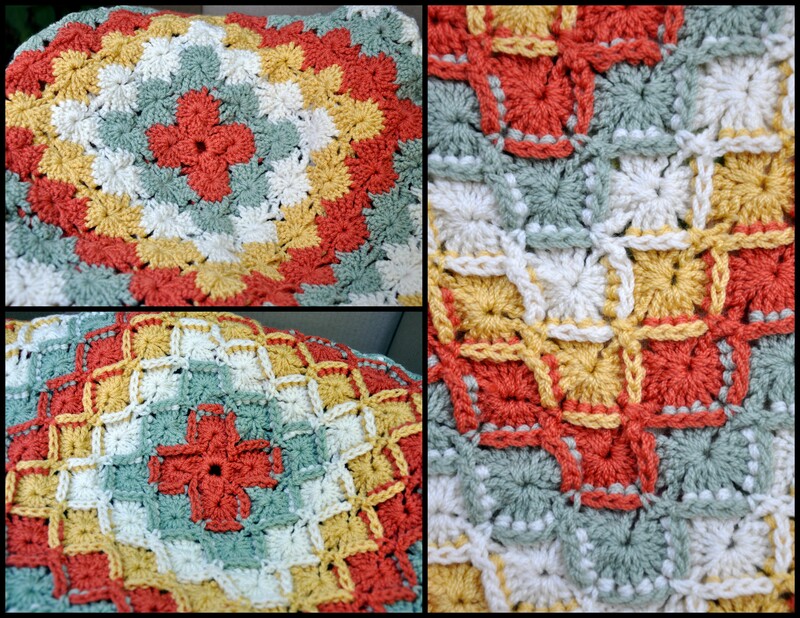 I’m in Bavarian-Crochet-Knee-Rug-winning nirvana. (Try saying that fast three times). 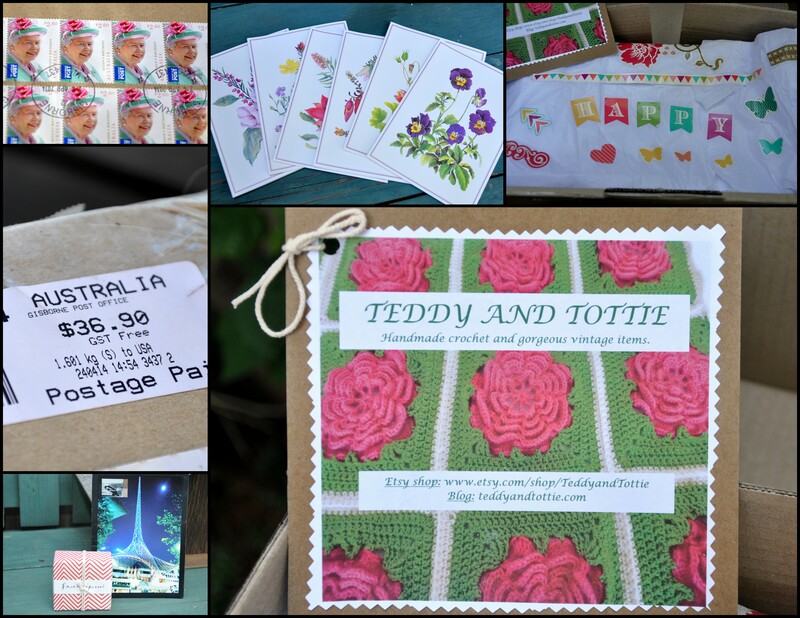 Yours truly is the lucky winner of the Teddy and Tottie blog giveaway. I won this breathtakingly beautiful, amazingly crafted Bavarian Knee Rug. I got the news two weeks ago at Teddy and Tottie land. The package arrived today, all the way from Australia. Oh my gosh, oh my gosh, oh my gosh. I ran for the camera so I could document its arrival. 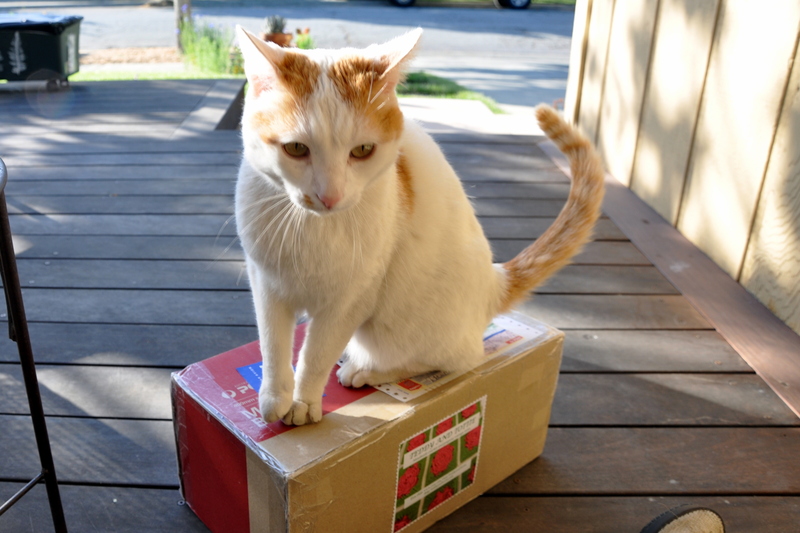 A certain feline wondered if it was for him. After whispering in his ear that I was happy to share, he climbed off the box and I whisked it inside. Getting a package in the mail is high on my list of joyous occasions. I like to imagine it traveling from place to place before arriving at my door. Pretty postage, custom forms and hand-stamps add to the thrill. While scrutinizing all the details, I had to do a double take. I thought one of the custom stamps read “Security Screamed”. Well of course they did. I mean, who wouldn’t scream when they saw what was inside? The blurred ink actually read “Security Screened.” Ha! The day I read the news that I’d won, I tried hard to temper my enthusiasm. My lucky win meant a lot of sad faces in the blogging community. Further, just a few months early, I won another lovely prize from The Contented Crafter. All this goodness after years of never winning a thing. Thank you, Dani, from the bottom of my heart, for this lovely treasure, and for all the extra goodies you tucked inside. I love them all! 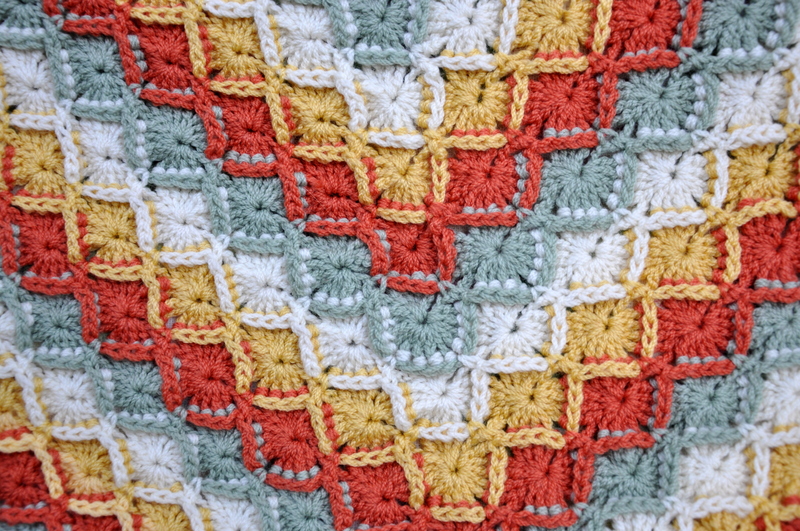 Please check out the goings on at Teddy and Tottie where Dani blogs about crochet, vintage home decor, pets, garden and home life in south-eastern Australia. You’ll fall in love immediately. Dani also has an Etsy shop where you can buy her beautiful crochet work for your very own. She also offers vintage treasures. This is a personal invitation to the 109 entrants who did not win the prize. Please come visit any time. I’ll fluff up the pillows and put the kettle on and you can sit with the Bavarian knee rug across your lap. Feline companionship almost 100% guaranteed. The goodness of bloggers abounds. 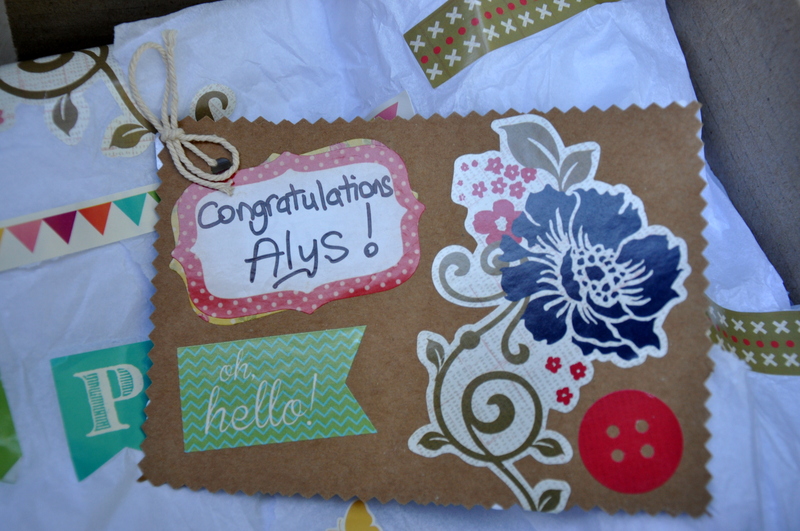 Bloggers near and far filled my mailbox these past several weeks with treasures of hand-made goodness. 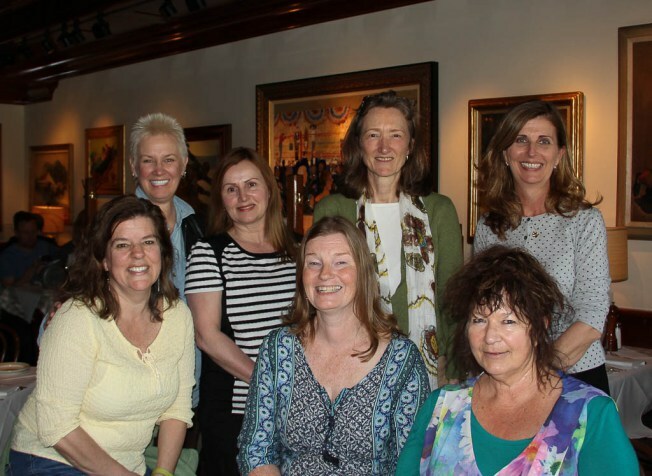 I’ve never met the bloggers at In Search of it All or Garden Sunshine. Before blogging, I’d never meet Boomdeeadda either. Yet they all have one thing in common: a generous spirit and a sharing heart. Once upon a time there were pen pals. You mailed letters to someone you didn’t know who lived on the other side of the world. If you were lucky, they wrote back. Now we blog. Gardening Nirvana came to life as a place to write about the things I love. I never dreamed of the community that would gather around it. Who could imagine the connections, the learning, the support and the fun that blogging had in store? I came for the writing and stayed for the friends. If you blog with regularity, you know what I mean. If you’re new to the medium, you have wonderful things to look forward to. Finally, if you’ve never blogged, start today. You’ll be glad you did. The lovely, lace embroidery, below was a ‘just because’ gift from Marlene Herself at In Search of It All. Isn’t it beautiful? 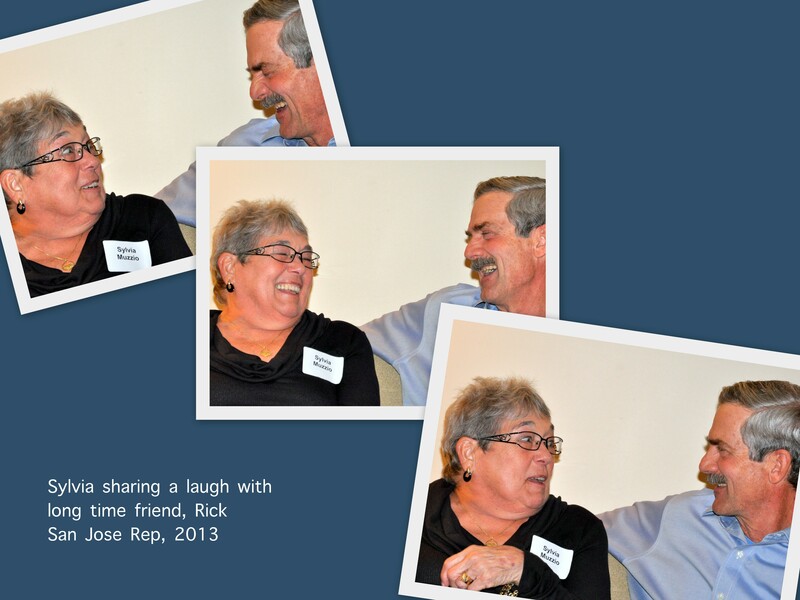 Marlene blogs from the northern state of Oregon. She describes herself as “a young at heart senior citizen that still has more questions than answers.” She enjoys reading, sewing, quilting and of course writing. 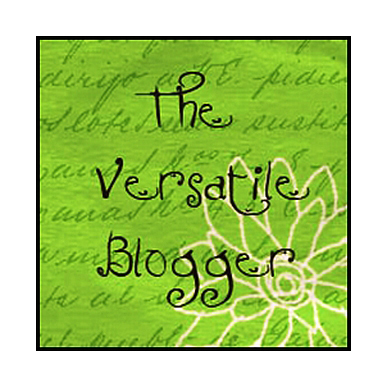 Pop on over to her blog to read her unique perspectives of the world. You’ll be glad you did. Diane blogs from Ontario, Canada. She shares her gardening progress on 7+ acres of land at Garden Sunshine. Her photos and projects are stunning. Garden Sunshine sent the blue heart pin, cotton square and calendar, lovingly crafted while she waits for the sun to shine again. Apparently I’m her top commenter. Who knew? Thank you for the shower of gifts. Special thanks (and apologies for not acknowledging this sooner) to Pauline at The Contented Crafter. I appreciate your kindness and support. 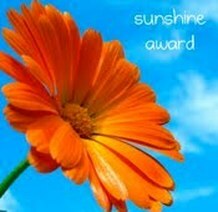 A warm thank you to Val at Nikitaland for passing on a bit of sunshine. Much appreciated.